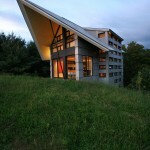 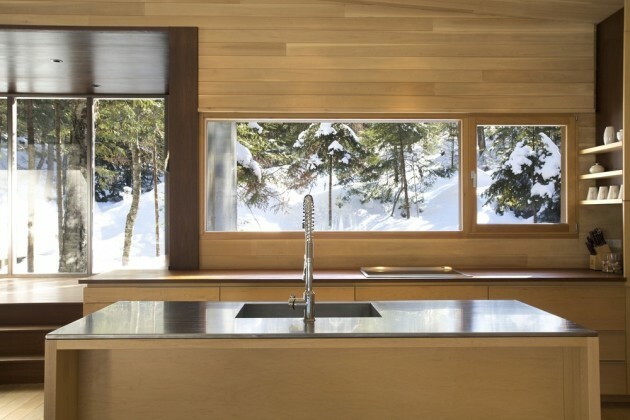 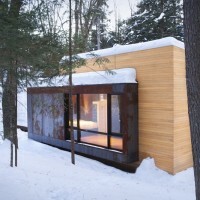 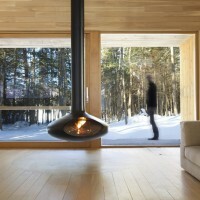 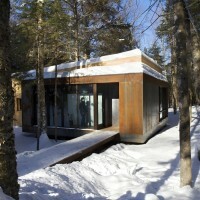 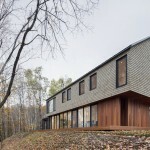 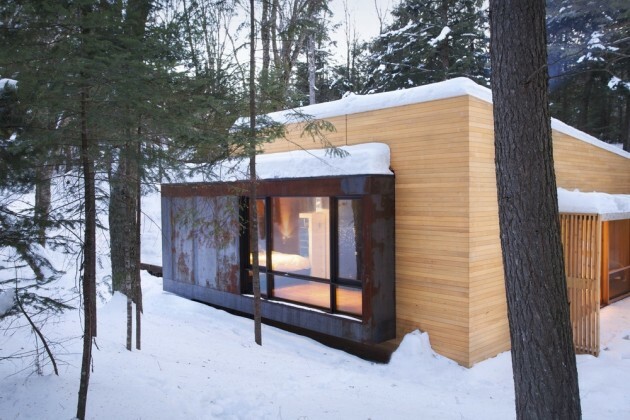 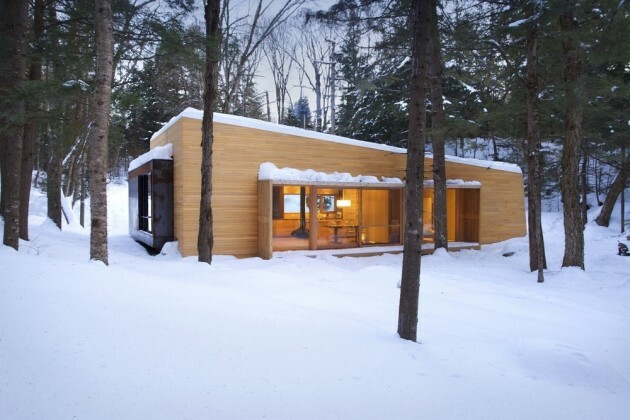 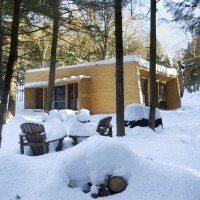 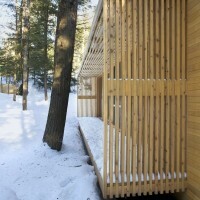 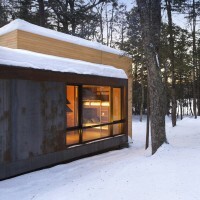 YH2 Architects designed a holiday home in the forest of Quebec, Canada. 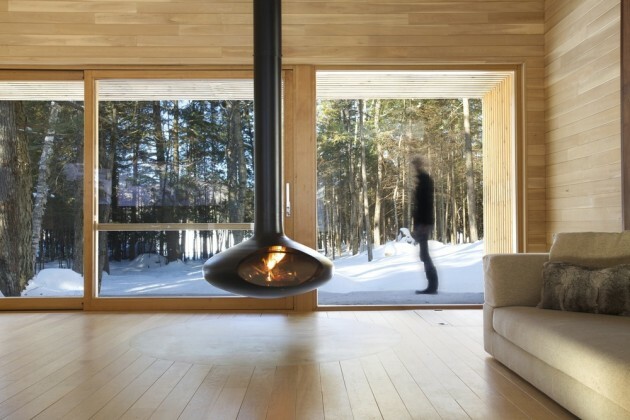 Nestled on its site, surrounded by dense vegetation preserving the house’s privacy, La Luge integrates a private spa which occupies almost a third of the useable area, adding on to the traditional countryside living spaces. 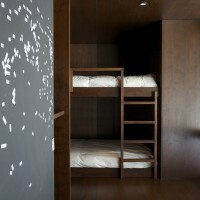 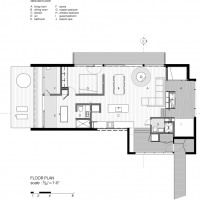 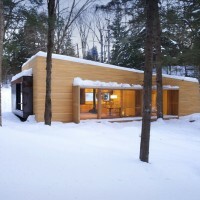 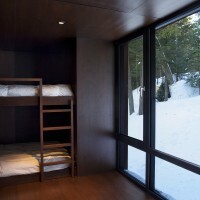 While La Luge is as a compact scheme meant to accommodate a large number of guests, the house’s spaces can be reconfigured into diverse geometries: using large sliding doors, the users may transform the children bedroom into a playground or a guest bedroom, more or less opened onto the main living spaces. 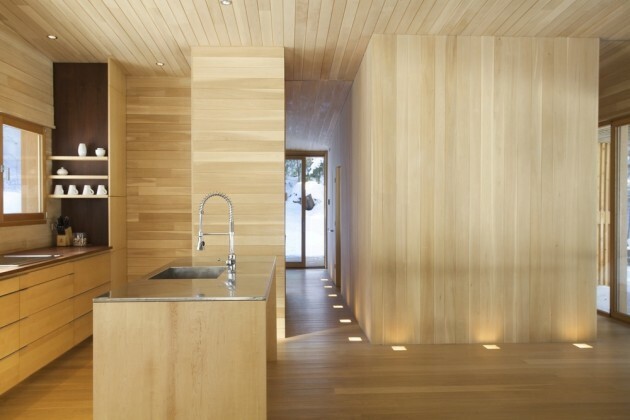 The project is made out of two embracing volumes set on different levels –one dark, one light, thus creating distinct spaces, freely merging one into the other. 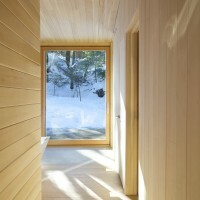 In this wood shell made of essences of cedar, oak and walnut, the atmosphere is soft but bright, soothing.